Free shipping. Buy direct from HP. 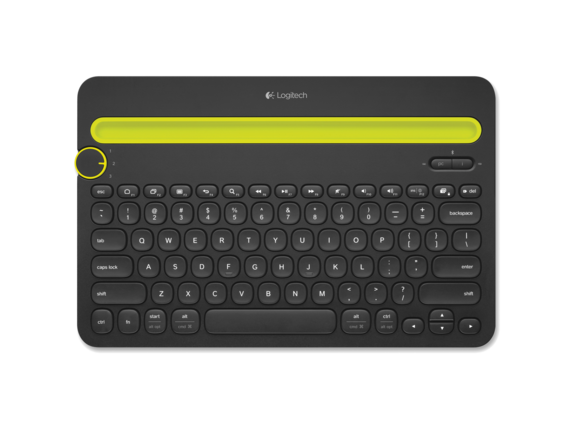 See customer reviews and comparisons for the Logitech Bluetooth Multi-Device Keyboard K480. Upgrades and savings on select products. Multidevice keyboard works flawlessly with your computer, tablet and smartphone. Easy-switch dial quickly changes between three Bluetooth-compatible devices. A familiar keyboard layout with frequently used shortcut keys makes typing fast and accurate. Integrated cradle holds your phone or tablet at just the right angle for you to read while you type. Keyboard is compatible with Windows 7, Windows 8, Windows 10, Mac OS X or later, Chrome OS, iPad or iPhone with iOS 5 or later and Android tablet or smartphone with Android 3.2 or later.